I’ve had some inquiries lately about how I have my computer system set up and how I process digital files. This will be a series with several parts. Part 1 will be an overview of what my system looks like, the components that comprise it, and specific technical aspects of my system setup. Part 2 will take you through my image workflow: from downloading from the camera to client delivery. In Part 3 we will take a closer look at how I use the Wacom Tablet for my editing. When I first started I had an HP laptop with one external hard drive that I used to back up my images. Fortunately for me, I didn’t have any crashes or lost files before I upped my game and began to transition over to the current system that I use. As professional photographers we have a responsibility to our clients to ensure that their images are protected from loss and we need to have systems in place that will safeguard us in case of a data loss. There was a recent article in Professional Photographer Magazine that detailed the story of another photographer who lost files. It is a great read and certainly contains a lot of good things to ponder and action points. We are talking, after all, about more than just data files, these are irreplaceable moments that we have had the privilege of capturing. Let’s face it, no matter how hard we would try to duplicate a lost image it is impossible to recreate in exact detail the moment that we initially captured. So, we do need to have a system in place to ensure that we never have to tell a client that we lost their images. I understand that no system is perfect and there will always be unforseen circumstances that go unaccounted for, but we ALL need some type of system that allows us to rest easy at night knowing that we have done our best to ensure that we never have that awkward conversation with any client. I dove full-time into photography almost 10 years ago. Now, I mainly photograph high school senior portraits and I also photograph weddings with a partner photographer. Over the years I have burned images to CDS, dropped an external hard drive and had to send it in to have the data recovered(which is expensive). I’ve also had drives in my RAID storage go bad, but the beauty of RAID is that you swap the bad drive out for a new one and wallah you are up and running. I have also made the move from Windows to MAC OS and I will never look back!! I am somewhat hands-on, and love to build things, so when I moved from the laptop to a desktop PC, I built it myself. Over the years I have built 9 desktop computers, 3 of them being Hackintoshes. 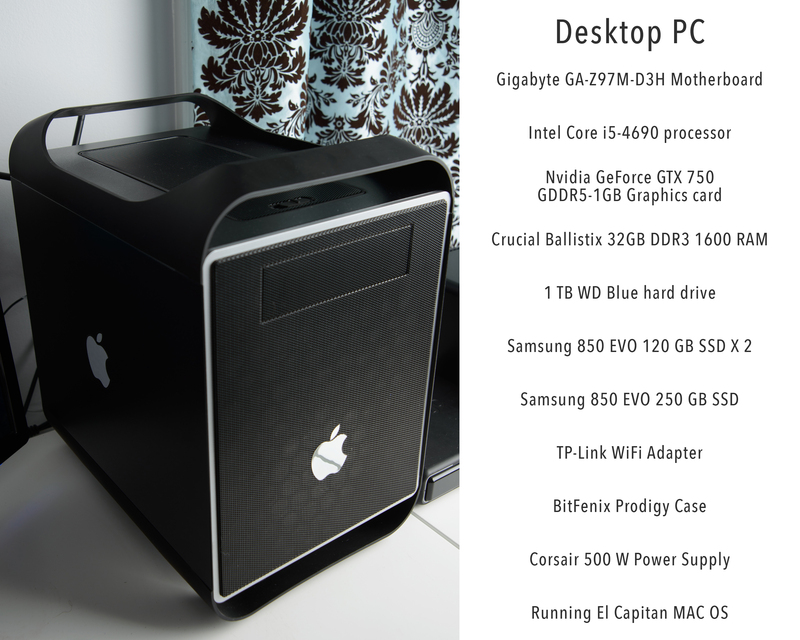 For more info about building a PC that exclusively runs the MAC OS you can visit www.tonymac86.com for more details. Ultimately it does not really matter what tools you use, clients have never asked if I edit their images on a MAC. As long as the tools you use fit your needs and help you to smoothly run your business. I am comfortable with the setup I have and would recommend any of the hardware and items in my system. I just recently began using the Wacom Pro Medium Tablet for all of my editing and I think that I am in heaven. I have no idea how I edited anything without this tablet. I had been using an Intuos Small Tablet, but the Pro fits more of my needs. I will talk about that aspect of my workflow in another part. 2&3. 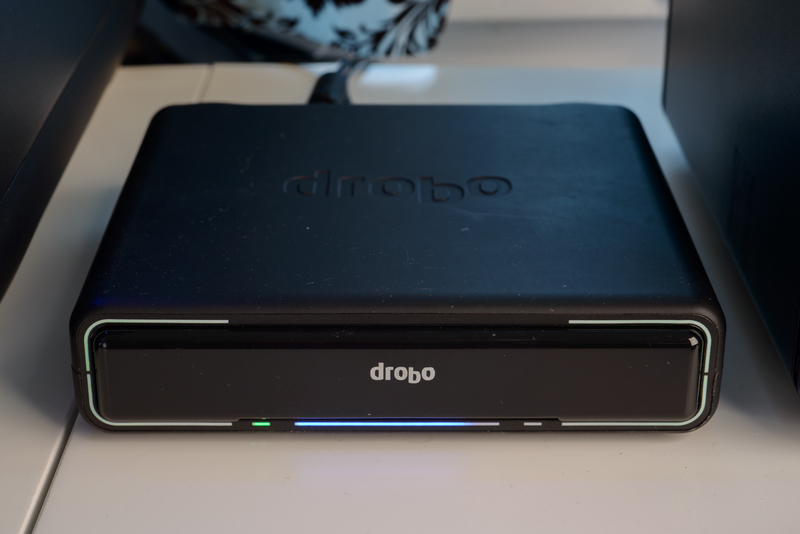 Raid Storage – Drobo Mini and Drobo 4d 3rd Gen. The mini has close to 3TB of storage and the 4d has 16TB of storage. I use these when I first upload my images from my memory cards. The raw images ONLY are stored on these devices. My Lightroom catalog is on a separate SSD drive on my Desktop and I make a backup daily of that catalog onto a WD portable hard drive. Drobo isn’t the fastest RAID option out there, but it more than meets my needs for a dependable, easy to use, very user-friendly, and safe storage of my images. 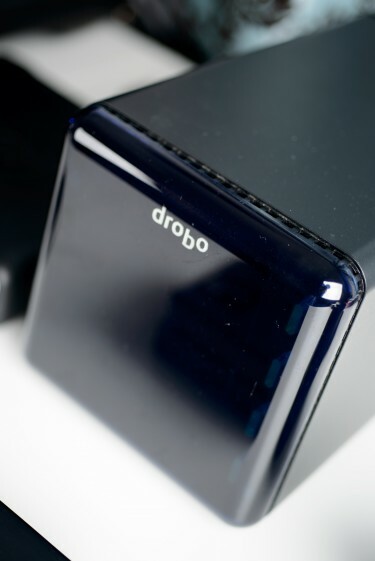 Check out the Drobo website for the newest options of RAID storage. 4. 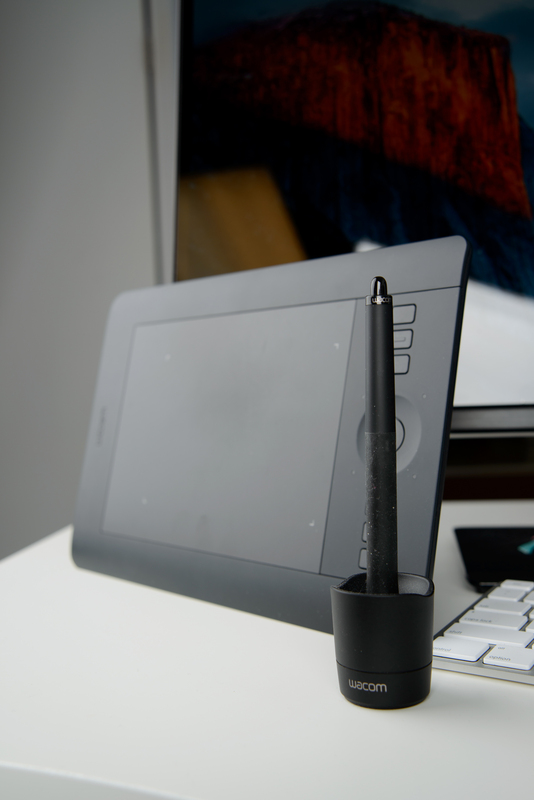 Wacom Pro Medium Tablet – I use this for all of my editing now. I love that it is wireless and there are a whole array of buttons that I can customize to help with my workflow and speed of editing. I will post a separate segment on how I use this table to edit my images. 5. Spyder Express Color Calibration – I regularly calibrate my monitors so that my color stays consistent throughout my workflow. It really does not matter what you use, just as long as it works for you and maintains consistency. I use the Spyder because of its ease of use and cost. 6. 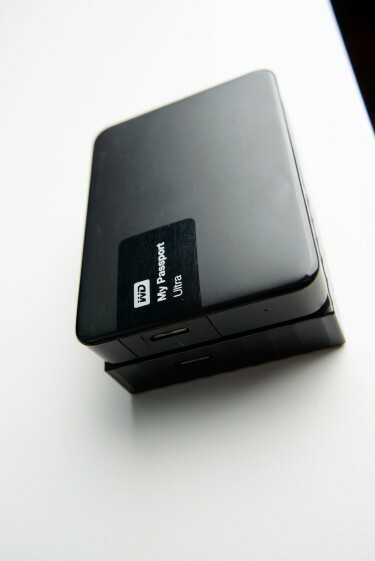 Western Digital Portable hard drives: I have several of these drives that I use to backup my Lightroom catalog and when I backup client catalogs from Lightroom. 7. 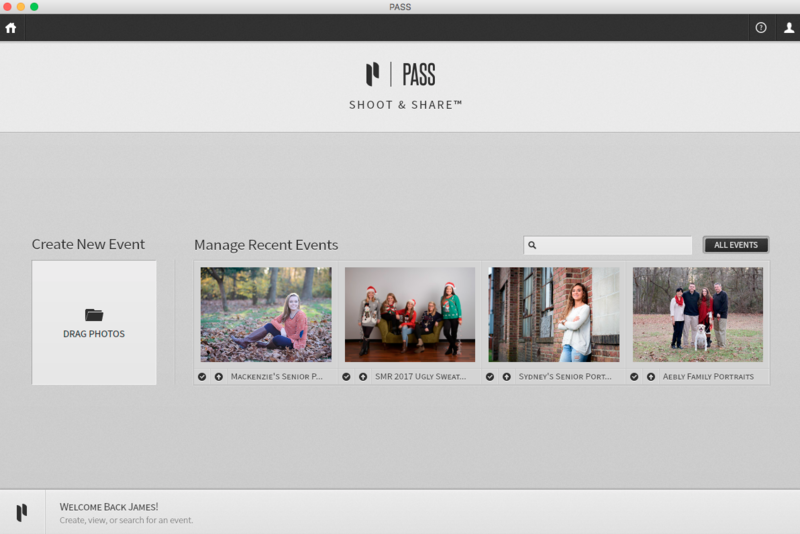 PASS – for all of my cloud based storage. Once I have client images edited and they have been ordered by the client they get uploaded to PASS. This has worked for me as a digital cloud based storage option and is easy for clients to navigate and access. That’s my set up. In Part II I will explain my digital workflow: how I take care of my images from Camera to Client delivery.